I’m a huge proponent of upcycling, but I’ve never even considered using toilet paper rolls for anything other than regular recycling. Okay, I have tried the trick where you use them as organizers for headphones and charging cords, but I found that to be bulky and a bit ugly. This project using old toilet paper rolls transforms them into something I can use, and something quirky that barely resembles their original selves. Although they are circles, toilet paper rolls have two sides (really, look at one!). 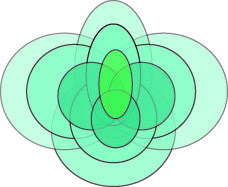 On one side, there is a line running across the center and on the other side, the line runs across the top and the bottom. Cut the toilet paper roll in half, making sure to cut the side with the line running across the middle. Now you’ll have an open and round roll. Take a spray bottle and mist both sides until wet. Don’t get it too wet, or it will fall apart. Hold the new wet roll flat and place it flat on a table in the sun to dry. I held it down at both sides with some rocks. The goal is to get it to dry flat and stay flat. Once it’s dry, take it inside and figure out what you want it to look like. 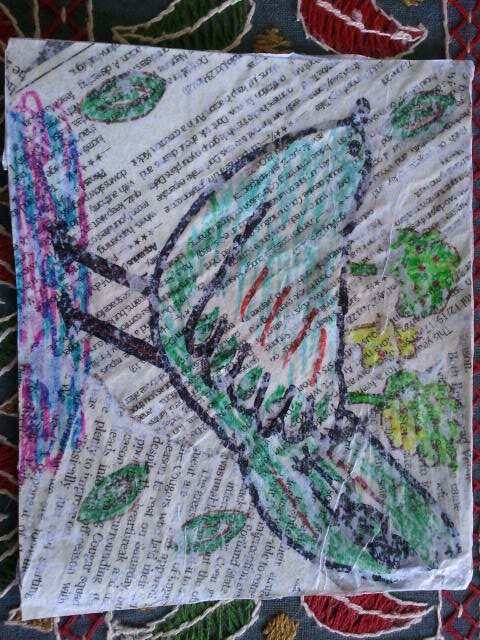 You can leave it brown and paint over it, but I decided to line mine with newspaper to give it an interesting look. Another alternative would be fairy tale pages; very whimsical. 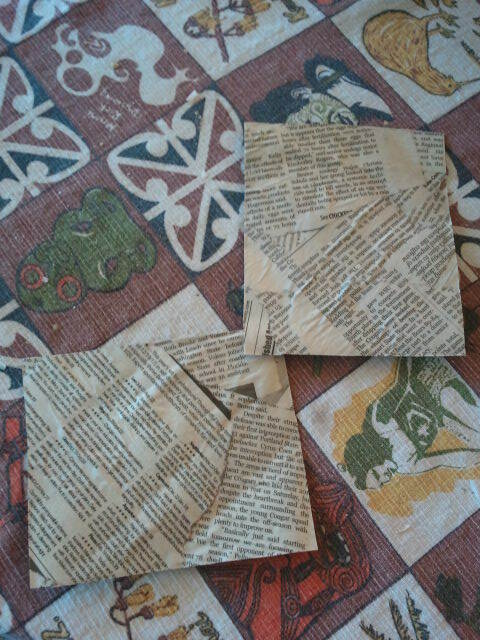 With Mod Podge, I affixed the newspaper to the flat cardboard and made sure to glue it on. Paint on it, stencil on it, anything you want! These are your new mini art canvases, and they barely resemble the toilet paper roll at all. Did You Know? Every year, more than 400 million tons of paper is used around the world? Repurposing it gives it another chance at life, and gives the Earth a breath of fresh air. I love upcycling and finding new ways to repurpose something that would be thrown away. Anything can be a project and anything can be great. 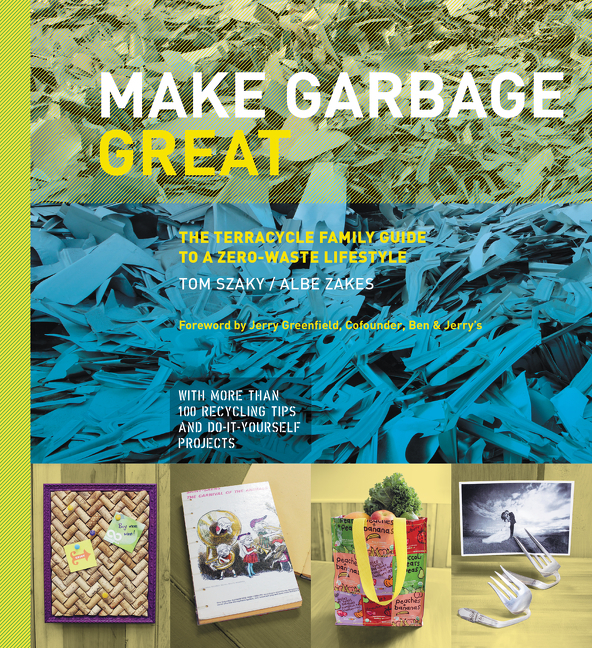 If you’re looking for more DIY projects to conquer, I’d highly recommend the book, Make Garbage Great. It contains projects that use recycled household objects and directions for how to repurpose them into something you’ll love anew. Over the course of reading the book, I learned so many things about the word of recycling and how to make a difference. I also learned that although I’m gung ho about the environment (I’ve been that girl who takes cans from a party to her house to recycle them properly,) even I have been making some terrible recycling mistakes! Things like trying to recycle small shreds of paper, pizza boxes or paper towels are all incorrect, and I should make a bigger effort to care for the Earth. The book has tons of tips and tricks for doing this. Do you love upcycling? 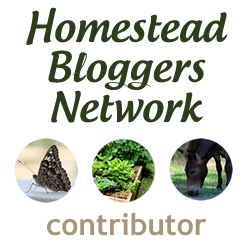 What’s the latest project you’ve made? This is a good craft for kids. Recycling the TP rolls and repurposing newspaper/outdated books. Our local library sponsors a “DiscARTed” art show where every exhibit is made from old books. Very creative. I made a couple sunburst mirrors one year to display. How cool! I love community art projects like that. TP rolls seem to have endless functions! Is there anything toilet paper rolls can’t do? I used 25 of them to make a mini Christmas tree. I wrapped foil and old wrapping paper around each one, then stacked and attached them together as a pyramid. The opening of each roll was filled with a piece of paper that held one of 25 classic (or not so classic) lines from Christmas-themed movies, books and TV shows. Love all the uses for such a simple piece of “trash”!